Graphical Processing Units (GPUs) are capable of delivering up to 100-times better performance than even the most advanced in-memory databases that use CPUs alone. The reason is their massively parallel processing, with some GPUs containing over 4,000 cores, compared to the 16-32 cores typical in today's most powerful CPUs. The small, efficient cores are also better suited to performing similar, repeated instructions in parallel, making GPUs ideal for accelerating the compute-intensive workloads required for analyzing large streaming data sets in real-time. This article makes four predictions for how GPUs can be expected to impact real-time intelligence in 2017. Amazon has already begun deploying GPUs, and Microsoft and Google have announced plans. Amazon claims its EC2 P2 Instances establish "the largest GPU-Powered virtual machine in the cloud," while Microsoft claims its Azure N-Series Virtual Machines, currently in preview, will utilize "the fastest GPUs in the public cloud." The Google Cloud Platform will follow shortly with GPUs getting deployed throughout 2017 for both the Google Compute Engine and Google Cloud Machine Learning. These cloud service providers are all deploying GPUs for the same reason: to gain a competitive advantage. 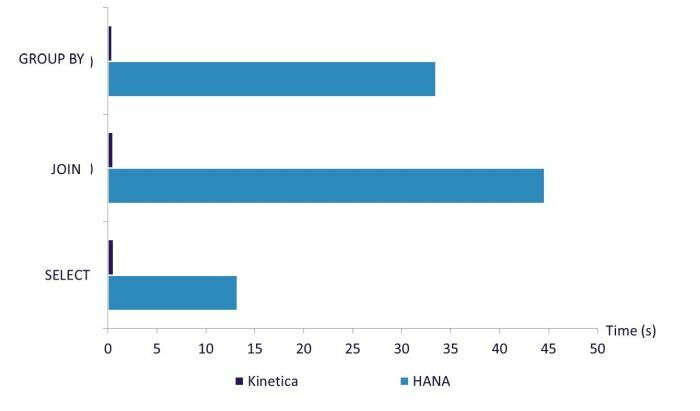 The graph below shows the benchmark test results performed by a large retailer comparing a SAP HANA in-memory database with a GPU-accelerated configuration from Kinetica. Given such a dramatic improvement in performance, other cloud service providers can also be expected to begin deploying GPUs in 2017. And that is welcomed news for those organizations that are finding it difficult to implement GPUs in their own data centers. The sub-second times it took for the GPU-accelerated Kinetica configuration to complete the three functions tested are barely noticeable in this graph compared to the times for the unaccelerated SAP HANA configuration. Certain enhancements in security and availability that are expected in 2017 will build on the foundation of the GPU's proven performance and scalability to make their use enterprise-class. For security, support for user authentication, and role-and group-based authorization will make GPU acceleration suitable for applications that must comply with security regulations, including those requiring personal privacy protections. For availability, data replication with automatic failover capabilities will make GPU-accelerated databases sufficiently reliable for even the most mission-critical of applications. Combined with the deployment of GPUs in carrier-class public cloud infrastructures, these enhanced capabilities will virtually eliminate any risk of adoption for organizations in both the public and private sectors. Although nearly all existing libraries perform better when executed in a GPU, very few have yet to be optimized to take advantage of such massive parallel processing. A select few GPU-enabled machine learning libraries have already been released by industry leaders like Google, Microsoft and NVIDIA, as well as by the University of California at Berkeley. One example is the BIDMach project, which is part of the BID Data Project at UC Berkeley that is exploring the use of GPUs for machine learning. With wider availability of GPUs in the cloud, the industry can expect to see many more libraries becoming GPU-enabled beginning in 2017. The Cognitive Era of computing will make it possible to converge artificial intelligence, business intelligence, machine learning and real-time analytics in various ways that will make real-time intelligence a reality. Such "speed of thought" analyses would not be possible were it not for the unprecedented performance afforded by hardware acceleration of in-memory data stores. By delivering extraordinary performance without the need to define a schema or index in advance, GPU acceleration provides the ability to perform exploratory analytics that will be required for cognitive computing. For anyone interested in learning more, information about GPU acceleration and its ability to deliver real-time intelligence is available at www.kinetica.com. Eric is VP of Global Solution Engineering at Kinetica. Prior to Kinetica, Eric was the Director of Solution Engineering for Hortonworks, a distributor of Apache Hadoop. 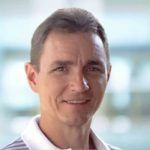 Earlier in his career, Eric was both a Director of Field Engineering and a Solutions Architect for Terracotta, a provider of in-memory data management and big data solutions for the enterprise. He started his career in systems and software engineering roles at both McCamish Systems and E/W Group. Eric holds a B.S. in Information Systems from DeVry University.